The film shows how a youngster managed to obliterate painful memories of parental pressure and peer rejection and manages to live a happy carefree existence. 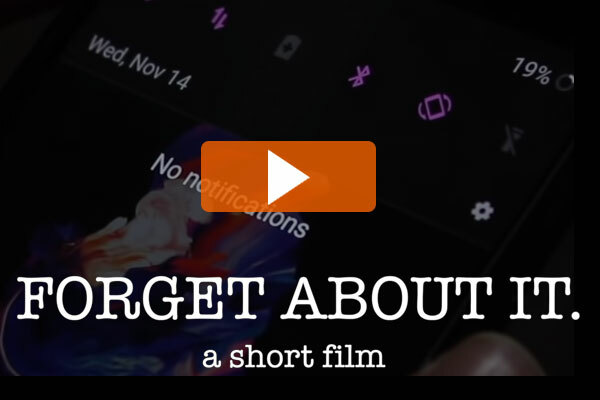 It is a complete in house production starting from scripting, enacting, filming and editing by the students – Aayush Kumar, Jishnu Chowdhury, Nikita Dhamija, N. Saketh Janardhana of Grade 11 and Param Luhadiya of Grade 10. 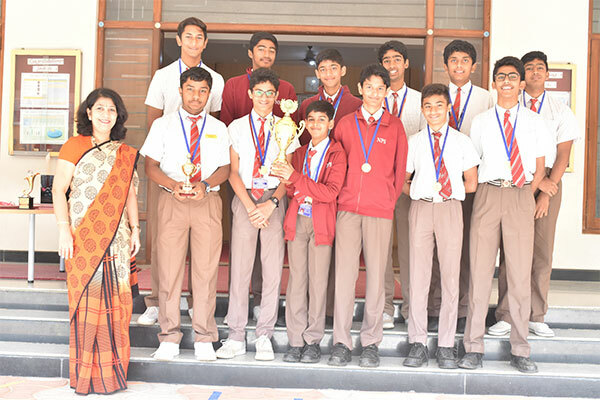 Our Under-15 Boys’ Cricket Team won the First place in the tournament hosted by TISB. 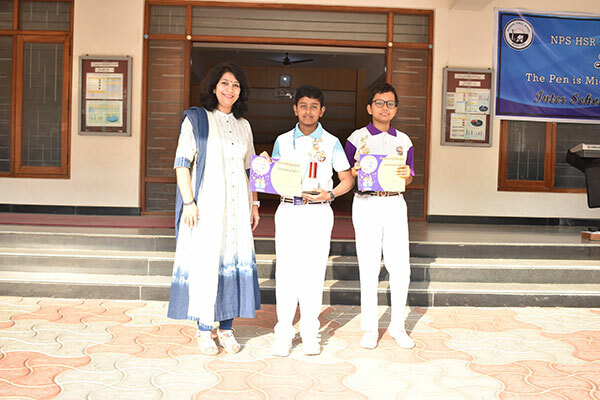 Our students have made the school proud by winning the Overall First Prize and several other prizes in a number of events hosted by ISRO on the occasion of National Science Day Celebrations. Category C - Anushka Thakur - Secured First Position. Category C - Arnav Aditya Singh - secured the First position. 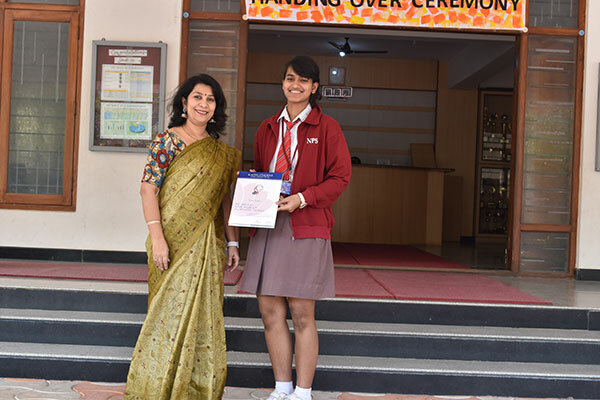 Disha Pandey of Grade 10 A won the Young Writers' Award in the prestigious National Katha Utsav. She was one amongst 10 to receive this award. Kudos to the child! 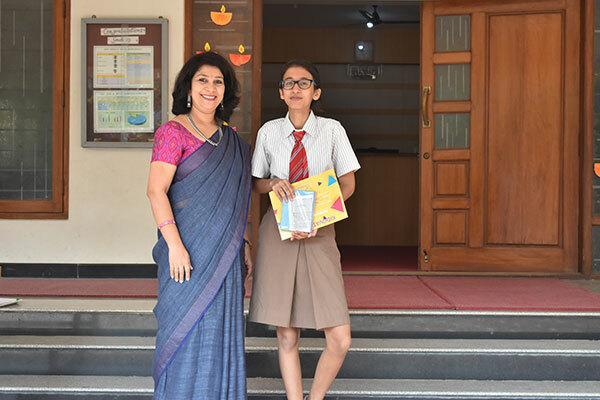 With great pleasure and pride we announce that NPS-HSR has achieved the 4th position Nation-wide and emerged as Zonal Topper (South zone) and in Karnataka in Clash of Pi 2018-19 - Math aptitude Contest conducted by Pi- Circle among 807 Schools and 204,087 Participants. 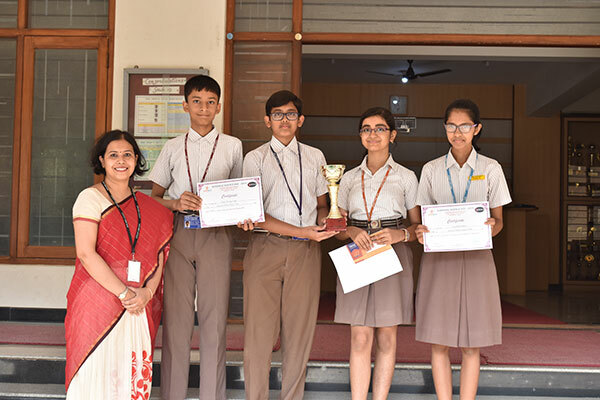 Our group of students participated in the Hindu Young World Quiz, 2019 and emerged as the First Runner Up in the event. 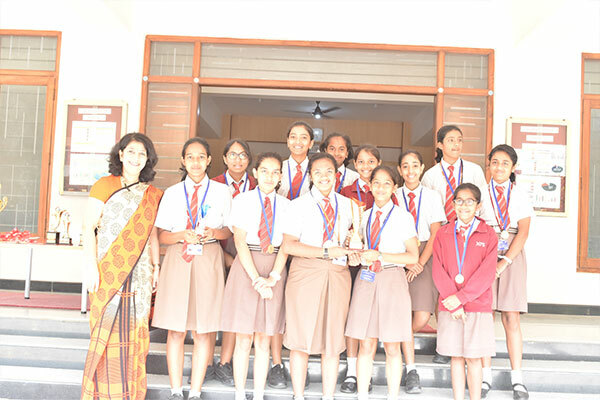 In the Inter-school Tournament hosted by Samhita Academy NPS HSR’s Under-14 Girls’ Team was placed in the 1st Position. 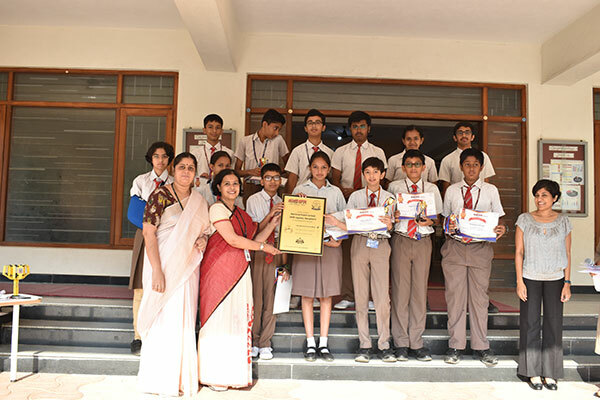 They also bagged the 2nd position in the tournament hosted by the Vidya Shilp Academy. 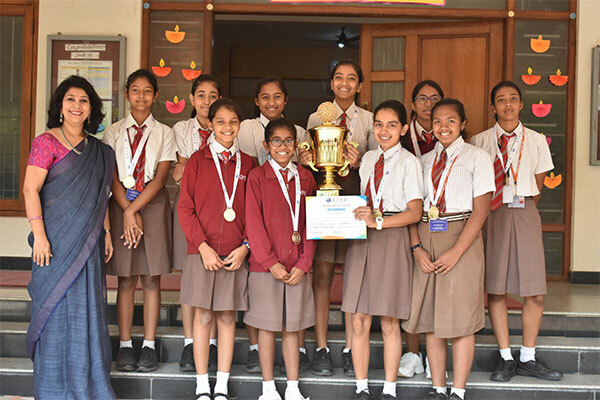 The Under-12 Girls’ team clinched the winner’s title in the tournaments hosted by Bangalore International Sports Academy and the Jr NBA. In the tournament hosted by TISB Under-15 Girls’ Team won the Second place. 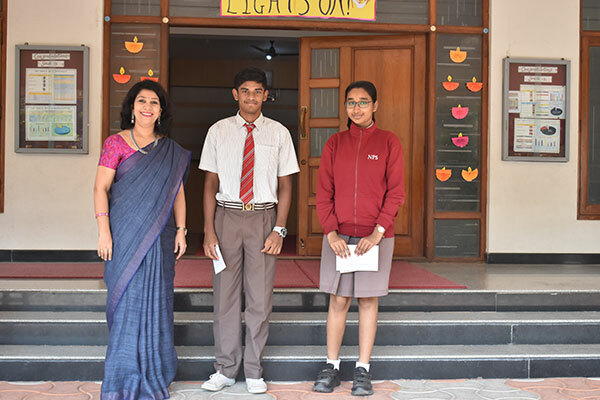 Maithili Banginwar of 12A and Sanil Navar of 12 C were awarded Letters of Commendation for outstanding performance on the Preliminary SAT / National Merit Scholarship Qualifying Test in 2017. We wish him all the best for his future endeavours. 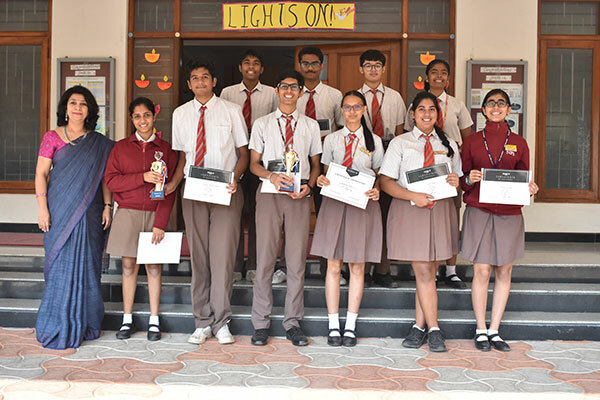 On 29 October, 2018 our students performed exceedingly well in XAVAGE 18, the annual business and economics fest organized by TISB. They won several prizes in various avenues of the field of business. Alert Knowledge Services, a unit of AKS Worldwide Pvt. Ltd., is an Education Management Company. It is an organization for recognition, reinforcement and talent development in teachers. On 16 September 2018, AKS awarded 500 Principals and teachers from 28 countries shortlisted from 56,000 nominations. 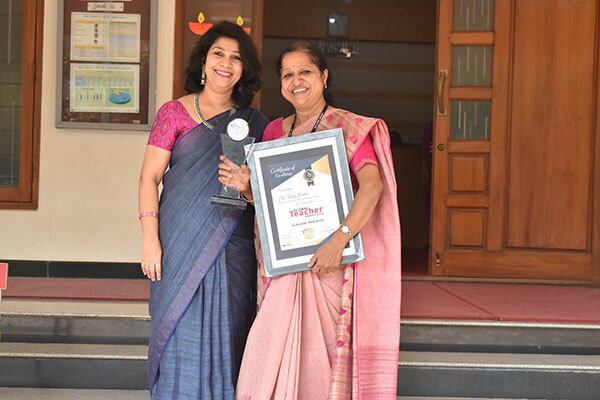 We are proud to announce that Ms. Usha Vembu of NPS HSR was presented the Global Teacher Award, which included a trophy and a certificate. 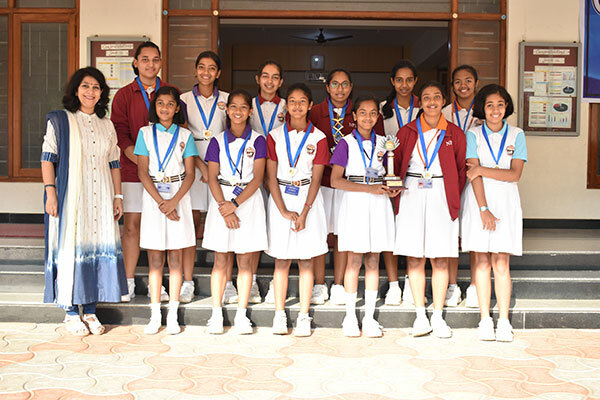 In the Inter–School Basketball Tournament hosted by Ebenezer International School our Sports teams performed commendably and secured the first place in the Under 14 Girls Category and the Second positions in the Under 18 Boys’ Category. Kudos to the winning teams. 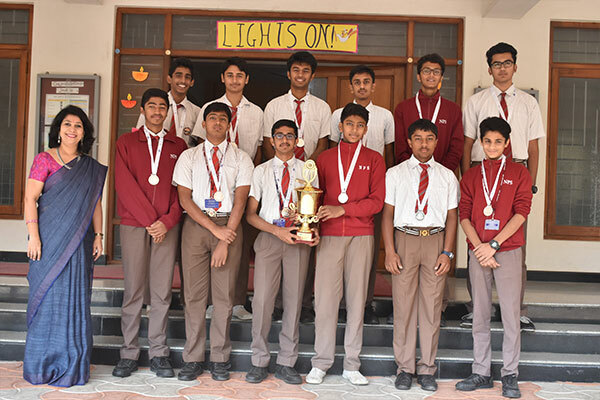 Our Sports teams evinced stellar performances securing the First positions in both the Boys and the Girls Under 16 Category in the Gyan Shrishti Basketball Tournament. 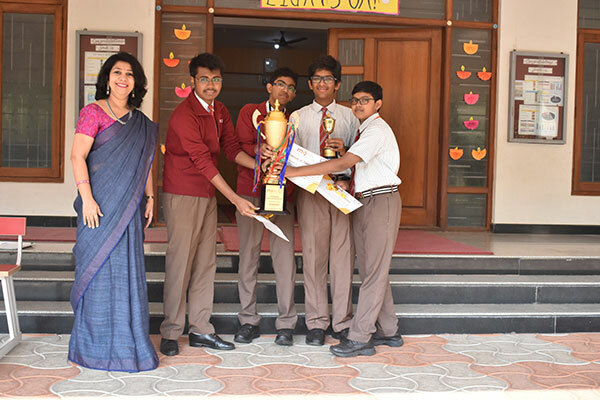 Our students, Rohan Doddavaram 8 B, Mrinal Jain 8 B, Rishabh Patnaik 9B, Kartikeya S. 9C have made the school proud by bagging the first place in the Technology quiz.